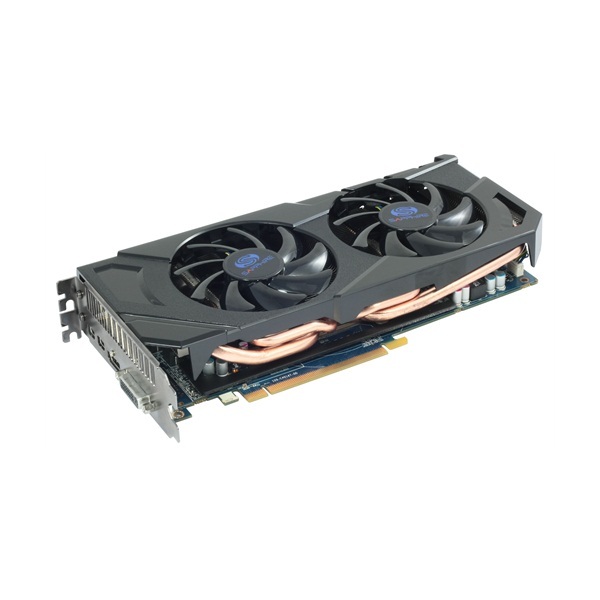 The new SAPPHIRE HD 7800 series of graphics cards is based on the third family of GPU’s from AMD built in its new 28nm process and featuring the highly acclaimed GCN graphics processing architecture. 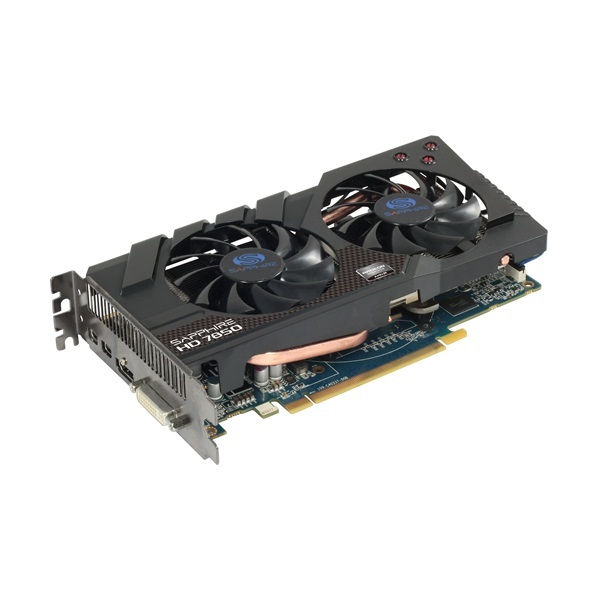 The new HD 7870 and HD 7850 GPUs have an optimised internal structure sharing many of the features of the high performance HD 7900 series already released but with fewer Stream processors and a new high speed 256-bit memory interface to the latest DDR5 memory types. It is aimed at mainstream gamers looking for excellent performance together with good value and all the latest features. Two models of the HD 7870 are being introduced by SAPPHIRE at launch. 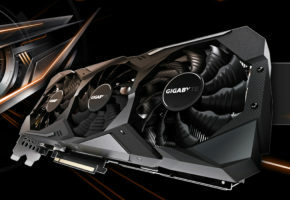 The first is the SAPPHIRE HD 7870 which will ship with a core clock speed of 1GHz, and will be known as the SAPPHIRE HD 7870 GHz Edition. 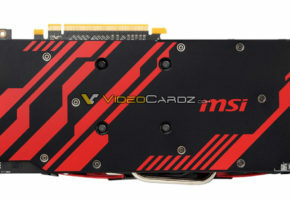 It is equipped with 2GB of the latest DDR5 memory clocked at 1200MHz (4.8Gb/s effective). 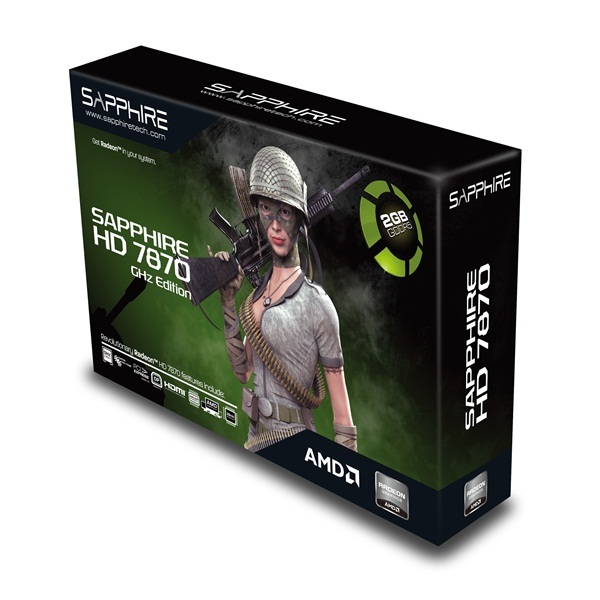 At the same time SAPPHIRE is introducing a higher performance model, the SAPPHIRE HD 7870 GHz OC Edition, in which both core and memory are factory overclocked and the PowerTune limits are raised to allow even further performance tuning. Both models are equipped with SAPPHIRE’s new dual-extractor technology – Dual-X – a highly efficient multi-heatpipe cooler with dual fans providing quiet and very cool operation during normal operating conditions, and superb cooling performance even under extreme load. 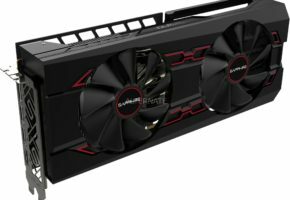 Offering excellent performance at an even keener price point, the two other models in the series are the SAPPHIRE HD 7850 and SAPPHIRE HD 7850 OC Editions. 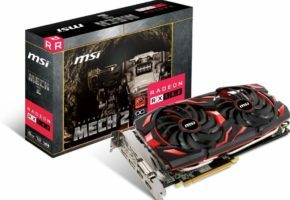 These share all the features of the HD 7870 models except that they ship with the lower core clocks of 860MHz and 920MHz respectively, and have a slightly lower Stream processor count. Both have 2GB of DDR5 memory and a SAPPHIRE original Dual Fan heatpipe cooler. 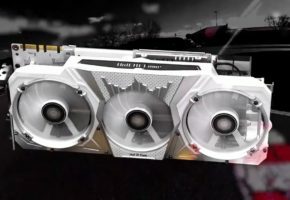 The HD 7000 series is the third generation of DirectX 11 compatible solutions from the graphics division of AMD – formerly ATI. 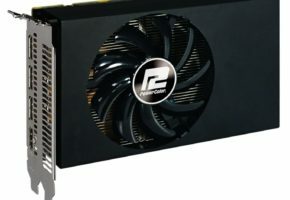 The new SAPPHIRE HD 7800 series is ready for DirectX 11.1 and the new Windows 8 operating system as well as delivering all the features of the current DirectX 11 such as DirectCompute11 and multi threaded communications with the CPU. 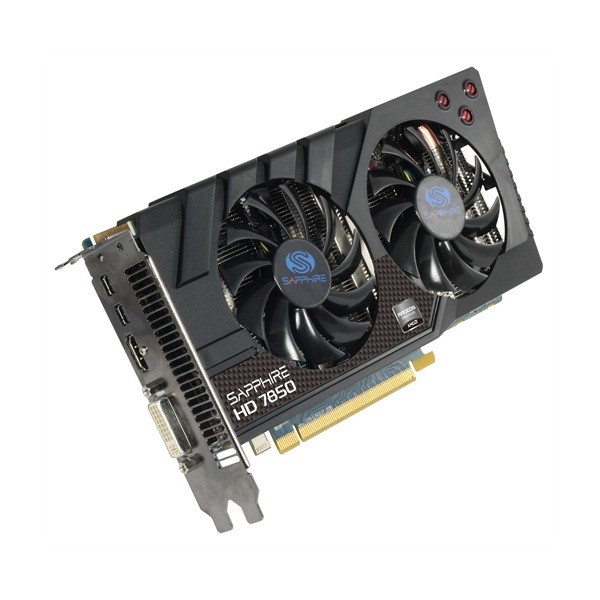 Communication with the host PC is optimised with the implementation of the latest high speed PCI-Express Gen3.0 interface, and multiple cards can be used to further enhance performance in CrossFireX mode on a suitably specified mainboard. 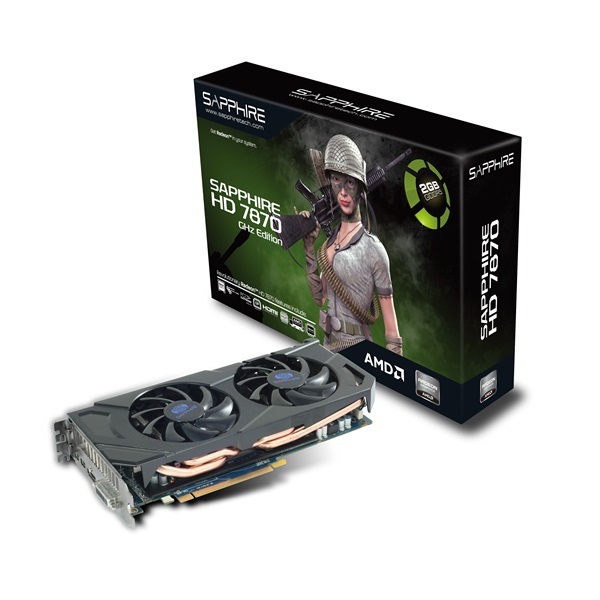 Working or gaming with multiple monitors is becoming increasingly popular, and the SAPPHIRE HD 7800 series supports this with AMD Eyefinity, now in its second generation. With Dual-link DVI, HDMI and two mini-DisplayPort outputs, the HD 7800 models can support configurations of up to 6 monitors. 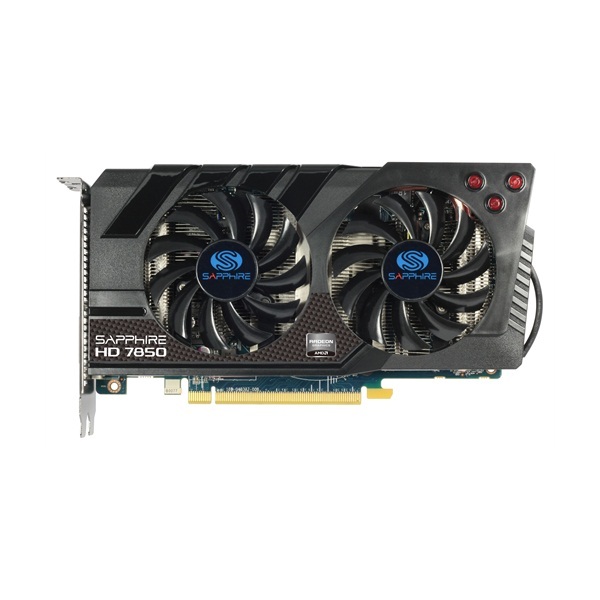 In addition, the SAPPHIRE HD 7800 series cards can simultaneously output multiple, independent audio streams allowing the correct audio content to be associated with different applications on different screens. HDMI specifications have also increased in the HD 7000 series. Fast HDMI 1.4a supports Stereoscopic 3D with enhanced frame rates of 60Hz per eye – 120Hz total. It is also ready for the next generation of 4K displays that can be driven from a single high speed input of 3GHz HDMI 1.4a or DisplayPort 1.2 HBR2. 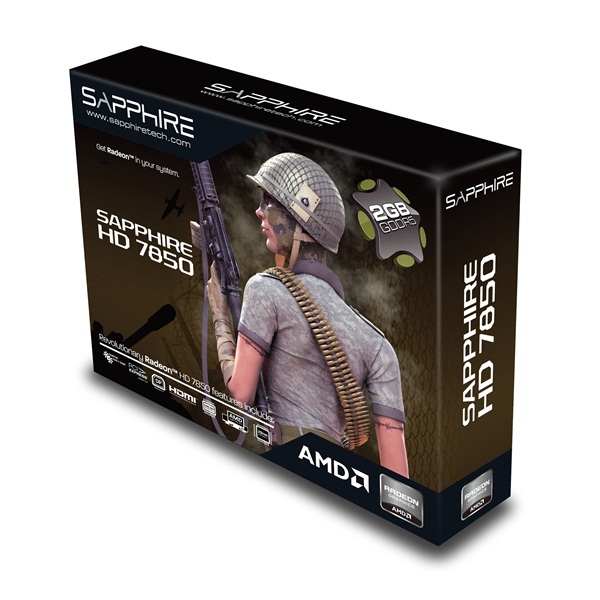 The SAPPHIRE HD 7800 series products will be available through SAPPHIRE’s established channel and etail partners from the 19th March 2012. 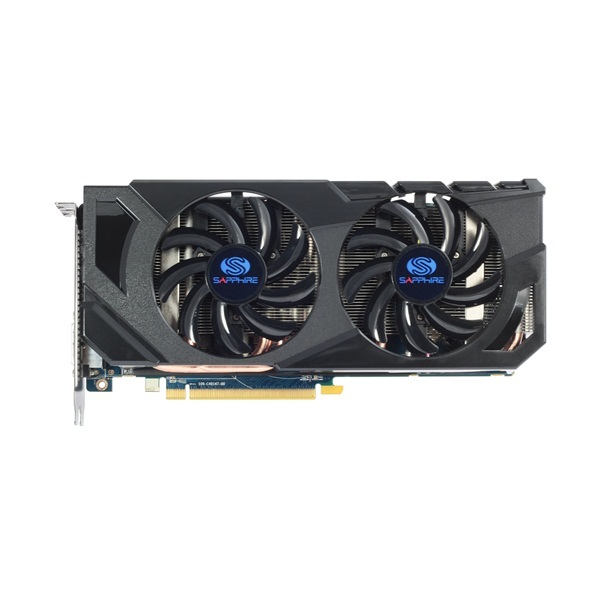 The new SAPPHIRE HD 7800 series of graphics cards is based on the third family of GPU’s from AMD built in its new 28nm process and featuring the highly acclaimed GCN graphics processing architecture. 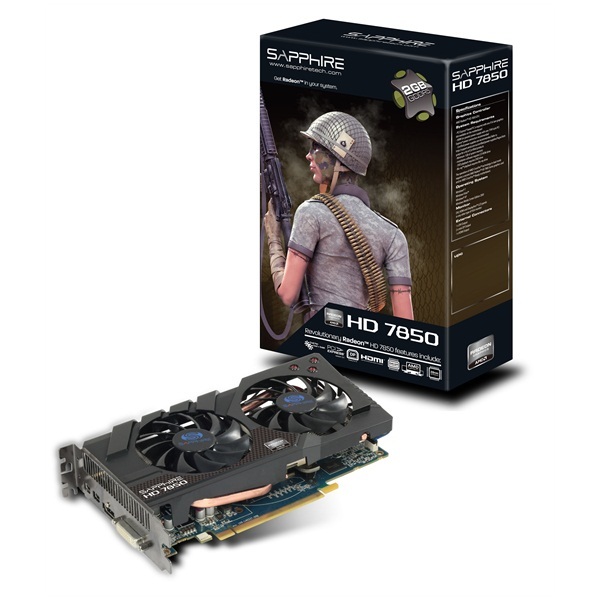 The Sapphire HD 7870 GHz Edition is equipped with 2GB of the latest GDDR5 memory clocked at 1200MHz (4.8Gb/s effective) with the new dual-extractor technology – Dual-X – a highly efficient multi-heatpipe cooler with dual fans providing quiet and very cool operation during normal operating conditions, and superb cooling performance even under extreme load.